The couple were overcharged on mortgages for a number of investment properties. A GALWAY COUPLE have been overcharged €1.23 million by KBC Bank Ireland after they were wrongly moved to higher interest-rate mortgages on their multiple properties instead of a tracker mortgage. The tracking mortgage scandal has affected over 33,700 people since the introduction of the product back in 1990s. The couple from Galway were overcharged by the bank on mortgages for a number of investment properties in the west of Ireland. It is understood that the couple were taken off their fixed interest rate and moved to a higher variable rate. KBC Bank Ireland has offered the couple €380,000 in compensation. The compensation is non-negotiable, however, the couple may appeal the figure in court. 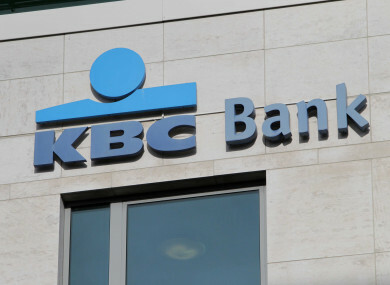 After being changed to the higher repayment rate of between €20,000 to €30,000 per month, the couple began to struggle financially and KBC Bank appointed a receiver to their properties. “I’ve never seen a case on this level before. I was shocked, absolutely,” Eugene McDarby, a personal insolvency practitioner from UHY Insolvency who is advising the couple on their situation, told TheJournal.ie. The couple has had to apply for a personal insolvency arrangement. Arrangements under the personal insolvency legislation provide for some of one’s unsecured debt to be written off and for you to restructure whatever is left and make affordable payments. While the tracker mortgage offers a fixed rate added onto the European Central Bank’s moving interest rate, the bank crash in 2008 led many customers to move off the tracker and then onto a fixed or variable rate for a period of time. But when a large number of them tried to switch back to their tracker (which they were fully entitled to do), their banks told them they couldn’t. And so people were charged a higher rate of interest on their mortgage than they should have been. It was reported in November that KBC Bank Ireland set aside €58.8 million in total to cover redress and compensation for customers who were impacted by the tracker mortgage overcharging. KBC Bank Ireland told TheJournal.ie that it does not comment on individual cases. Email “Galway couple overcharged €1.23 million by KBC Bank on their mortgage”. Feedback on “Galway couple overcharged €1.23 million by KBC Bank on their mortgage”.